Lupins cross stitch pattern... 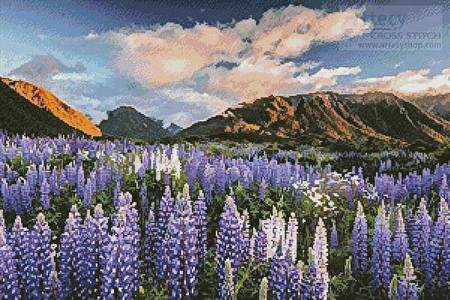 This Counted Cross Stitch Pattern is of Lupins in the Craigieburn Range, Canterbury, New Zealand. Photo copyright of Gerhard Zwerger Schoner - Corbis. Only full cross stitches are used in this pattern.